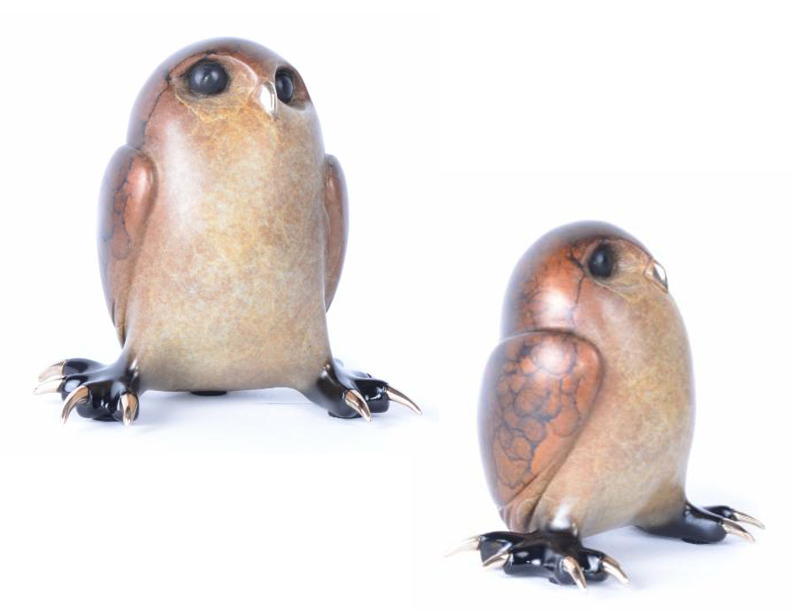 Tim Cotterill's newest owl sculpture, "Chester", has joined the Parliament! A worthy addition, "Chester" clearly has "attitude," as evidenced by his brash, overly confident stance. "Chester" sports a richly patterned wax patina, seamlessly transitioning from buff to burled, earthy tones on its wings and back. Welcome, "Chester", to the Cotterill Aviary.